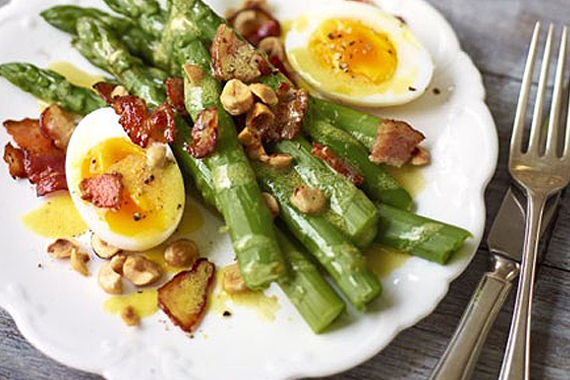 There are a few different elements to the dish, but all are very simple and can be used in other dishes, such as hollandaise in eggs benedict, asparagus as a veggie side and a perfectly poached egg for brekkie any day of the week! So here’s to adding to your repertoire of cooking skills and to a delicious starter. Preheat the oven to 200C. Parboil the potatoes, with the skins still on, in a pan of boiling water for ten minutes, or until just tender. Drain and set aside to cool. When cool enough to handle, peel the potatoes and grate them coarsely into a mixing bowl, then stir in the melted butter and season, to taste, with salt and freshly ground black pepper. Heat the vegetable oil and a knob of butter in a non-stick frying pan over a medium heat. Divide the grated potato into four even portions, roll into balls and flatten with the back of an egg flip. If you want them perfectly round use an egg ring. Fry for two minutes on each side, or until golden-brown on both sides, then transfer to a baking sheet and finish cooking in the oven for ten minutes, or until crisp. When cooked through, transfer to a plate lined with kitchen paper to absorb any excess oil. Keep warm. 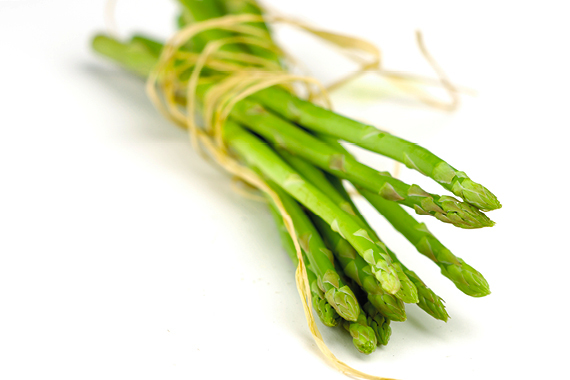 Simply snap off the woody end of the asparagus where it breaks naturally. If you’re using fine or baby asparagus then you probably don’t need to even tail these. All you need to make sure here is that you don’t over cook this delicate veg. Bring a pot of water up to the boil and drop your asparagus in. Cook for 2 minutes and then take out immediately and immerse into iced water. This will keep the asparagus crunchy. To poach an egg is easier said than done. The key is to use a really fresh egg. We favour duck eggs from Rudi’s Deli. Use a pot with about 2 inches of water in it and a tablespoon of white wine vinegar. Boil until you start to see the bubbles in the pan then lower the heat to simmer. Using a spoon gently create a whirlpool in the pot by stirring once or twice. Now crack your egg into it. After 1 minute switch the heat off and leave the egg in the water for 5 minutes. This should give you a soft poached egg, cooked white and gooey yolk. Place a small mixing bowl over a pot of hot water. 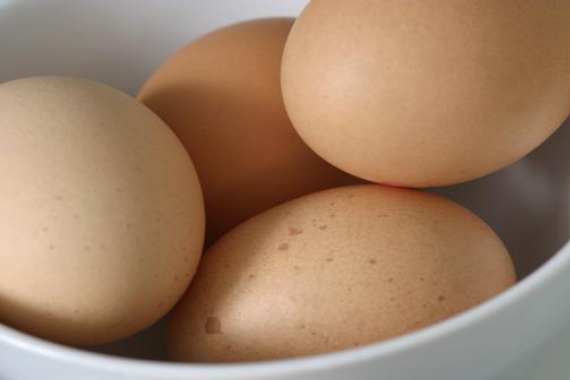 Place the egg yolks in the bowl and whisk until they begin to thicken. Now add 1 tablespoon of the boiling water(have a pot boiling next to your double boiler). Continue to beat the sauce until it begins to thicken. Repeat with the remaining water, one tablespoon at a time, beating after each addition.Add warmed vinegar or lemon juice. Remove the double boiler from the heat. 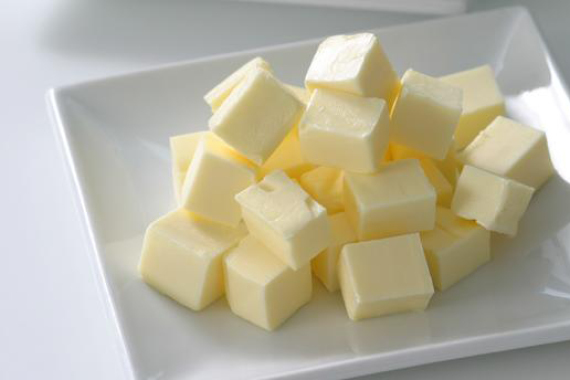 Beat the sauce briskly with a wire whisk and continue to beat the mixture as you slowly pour in the melted butter. Add the salt and cayenne and beat the sauce until it is thick. Now to assemble your salad! Starting with a warm rosti then layering your crisp asparagus and then poached egg on top which you slice down the middle and let the yolk ooze out. Finally drizzle with hollandaise and sprinkle with either your crispy bacon or hot smoked salmon and roasted hazelnuts. This is truly a DELICIOUS starter dish. Enjoy. WIN with Stir Food and Laurent at Lourensford. Simply go to our facebook page, www.facebook.com/StirFood, ‘Like’ it and in 30 words or less describe your perfect dinner party. The Prize: An elegant dinner party for you and 19 of your close friends and family at Laurent at Lourensford. Stir Food will create a menu that will impress and satisfy you and your guests and will include elegant canapés and a 3-course meal with wine. One entry per person. Winners will be announced by 30th November 2012. Come see us at Kamersvol Geskenke this week at Lourensford Estate, Somerset West.